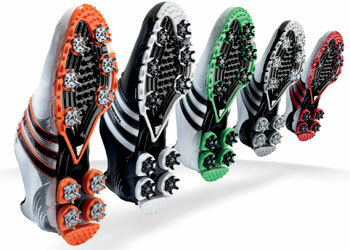 Improve Your Junior Golfer’s Score by Wearing These! Junior golf is on the rise and today’s field can be very competitive, one way to improve your golfer’s score is to invest in Golf shoes! As cost effective and comfortable as tennis shoes and sandals may be, they are poor first-choices because they’re not made for playing golf. Are uncomfortable when there is moisture or ants present. Parents, please remember, there is always water on or around golf courses; from early morning dew, to a rain shower and of course, the dreaded water hazards. Our family has always believed that water-resistant or waterproof golf shoes are the only way to go as an investment into our Junior Golfer’s future. Again, for your kiddos under age 10, these shoes can be hard to find and run into some money, particularly if you are buying shoes every few months. Some top name brands are Adidas, Ecco, Etonic, FootJoy and Nike. Oakley and Puma make great products that are starting to show up in more stores. Never buy golf shoes without having your Junior Golfer try them on first. Nikes tend to run narrow and while our son loves their styles, he has not been able to find a pair that fits his feet. 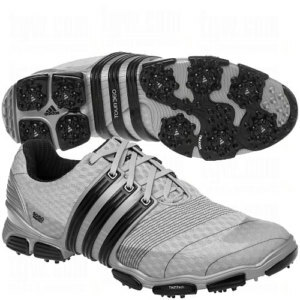 S3 and our whole family have worn the Adidas Tour 360 4.0’s (now called Tour360 ATV) for the last 4 years and have found them to be fabulous golf shoes. They are durable, waterproof, easy-to-clean and a fit great! And a lot of pros wear them-just look for the 3 slightly diagonal stripes on the side of the shoe. News Flash!!! Ask your swing coach, junior high coach or high school coach what kind of discounts they can get from their golf reps. These discounts are widely available and can save you as much as 50%. Well, that’s enough for now! Let’s go find some golf shoes!! Parenting a Junior Golfer leads to memories that last a lifetime! Wow, here we’ve been going into a lot of details about what to do to support and encourage your Junior Golfer, but maybe you’re visiting for the first time and hadn’t consider golf as an option for your youngster… Well here’s our first installment of how to start your child in the wonderful, exciting and healthy world of Junior Golf. This will begin some of the greatest experiences you, your Junior Golfer and all your family will ever have! 1. Does your child have any interest in golf? How do you know? Start by asking and taking a trip to the range. let them swing at some balls and watch the excitement in his or her eyes. If your child is very young, under 5 years old, buy a set of plastic clubs at a discount store and let them swing at whiffle balls in the yard. If your child seems to have little interest right now, that’s OK.
Let them putt on the carpet and again take a couple of swings at the good old whiffle balls…great, inexpensive training aids. Promote Positive Exposure without being pushy. 2. Get them some clubs. Pre-owned children’s/beginner’s sets are readily available. 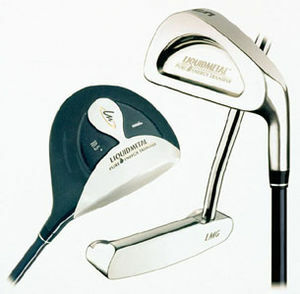 Every golf-related business either has some on hand or knows where you can get some at a very inexpensive price. To get started, your JG needs only a few clubs: 5-iron, 7-iron, 9-iron, pitching wedge, putter and either a 3-wood or 5-wood. U. S Kids Golf makes great clubs for youngsters. As their skills increase, you can upgrade to more clubs and more different types/brands of clubs-skill level compatible. Caution: make sure the clubs are the correct length for your child. Clubs that are too long or too short do not give your Junior Golfer much chance of success. Get your child fitted at a major sporting goods store or golf facility. Write down the correct shaft length of the 5-iron that fits your child. While you may be charged for the fitting, you are not obligated to buy clubs from the person that does the fitting. But you do want to buy clubs with a 5-iron that matches the length you wrote down. 3. Buy a golf bag. As a rule, buy the lightest bag that their stature allows them to carry. One or two pockets are all they need at this point. Stand bags -the ones with the legs that pop out when you set them down, are super! Buy the size that fits your Junior Golfer, not you. 4. Buy the best quality golf shoes you can afford. Top name brands include Adidas, Etonic, Footjoy and Nike among others. Make sure they fit properly. Buy a waterproof style if you can afford it. Wet feet are no fun on the golf course. S3 has worn the Adidas Tour 360 4.0’s for the last 4 years and they are fabulous-a bit pricey, but an excellent value! 5. Get a glove. 99% of all golfers who wear gloves, wear one on their weak hand. If your Junior Golfer is playing golf right-handed, they would use a glove on their left hand. The best selection of gloves is at the biggest golf stores. If your Junior Golfer needs a Youth or Children’s glove-their hand is smaller than an Adult XS, yes, you need to shop at a big golf store. For the girls, there are a good variety of gloves in very lady-like colors. Again, go to the bigger golf stores or big sporting goods stores. Gloves serve several purposes: controlling moisture, controlling grip, helping with feel and with beginners, even stopping the formation of blisters. And gloves just look good! Okay, these are the first 5 tips, 5 more to come, we don’t want to overload you… that would be like carrying a full pro’s bag for 18 holes – think of this more as a golf cart version – we want you to enjoy the game, and this blog! As the parent of a Junior golfer it’s important to release them to the professionals as soon as you can! Our son, S3, has only had 2 coaches over the last 13 years. Junior Golf coaches are called, Coaches, Swing Coaches or Instructors, for the most part –as differentiated from Coaches of a particular golf team –a high school or college team, for instance. S3’s first swing coach was PGA Professional John Clay –a fine instructor, a fine man and a good family friend to this day. When John moved to a different location, we had to find a new swing coach. At a summer junior golf skills clinic at Olympia Hills Golf Course, we first met Tim – PGA Professional Tim Harford. Tim was great with these youngsters, S3 was 7 years-old, I knew we had found our new swing coach. Tim has been S3’s coach for the last 11 years and the 2 of them have produced great results! 1. Select a PGA Professional Instructor. 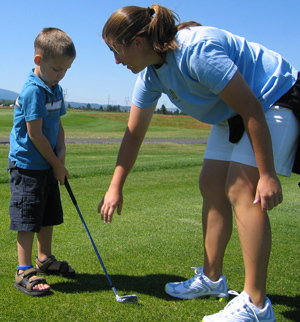 In most cases, family and friends are not suited to be your Junior Golfer’s golf coach. It is better to get proper instruction from the start, than to have your Junior Golfer exposed to some bad habits and having to fix them later. A PGA Pro is your best choice. 2. Consider the distance. Your coach probably has a driving range he or she likes to use; the closer they are the easier it will be to fit your practice schedule. Proximity doesn’t kill the deal in the selection process but it should be a consideration simply for time sake. I realize that in some cases you have no choice. 3. Consider his or her track record. Ask about the success of their students. How many have placed in or won tournaments? How many are on junior high or high school golf teams? What is their rank on the team? Have any made All-District or been Regional or State qualifiers? Are any attending college on a golf scholarship? This is a big deal. You want your Junior Golfer with a successful coach. 4. Consider the cost. Here in San Antonio, the price ranges from $25.00 per hour to $100.00+ per hour. More expensive is not explicitly better; many times you are paying for more than the Pro, it could include range use, overhead costs, and secondary fees. Usually we get 5-lesson packages from Tim and worked out a discount for range balls to go along with the lessons. This made for a very reasonably-priced package. Don’t be afraid to ask! 5. Consider the coach’s temperament. Go watch your candidates give a lesson to a kiddo about your child’s age. How is the instructor with this age group? You will see differences, so go watch several lessons by different PGA Pro’s. Be sure to select a coach who tells the students what to do, rather than one who tells them what not to do. This is very important. 6. Consider the coach’s teaching style. a. How much does the coach talk during the lesson? We have found that less is better. You will see some coaches that talk incessantly and give their students a zillion things to remember. Run the other way! Your child’s brain is a sponge and if they soak up all that chatter they will be overwhelmed and never get any better. b. S3’s Coach, Tim, keeps instruction simple and to a minimum. For the past 11 years we have never seen Tim raise his voice or get angry. He is soft-spoken and has an amazing knack for giving his students only 2 or 3 things to work on when their lesson is over. And his students improve their golf game! 7. 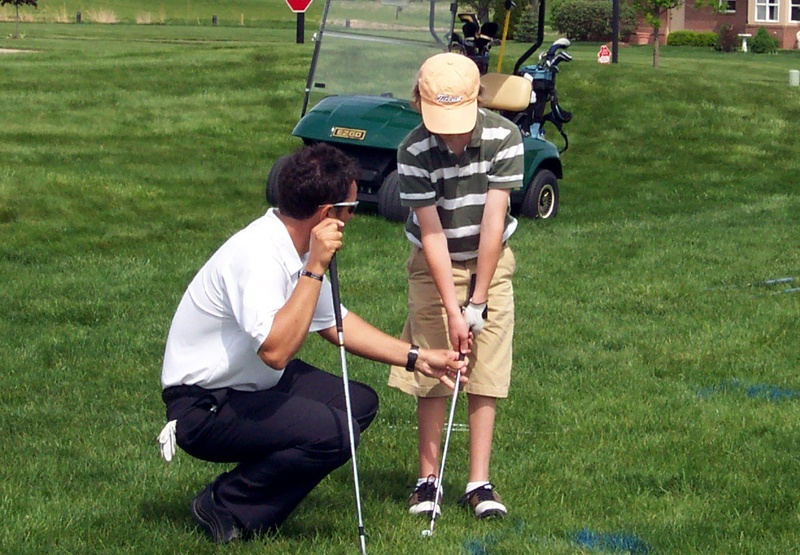 Consider the coach’s interaction with your Junior Golfer. You won’t really know this until you have had a few lessons. Ask your kiddo if they like working with Coach X. You may be very surprised at the answer if your JG tells you they don’t like this coach, but didn’t want to say anything because it might upset you. You must ask this question because if your JG doesn’t like the instructor, they won’t learn much, if anything. Does the coach return your calls, texts, or emails promptly? Are they willing to work your child in for a lesson on little or no notice? If this one won’t, there are plenty that will. When you find the right coach, you and your Junior Golfer will know it. You will have made a good and trusted friend. And you may have two different coaches, one for initial instruction and one for more advanced techniques. Junior Golf Parents – Gary Player on Why Golf for Kids! Parenting Junior Golfers is an exciting time of life! 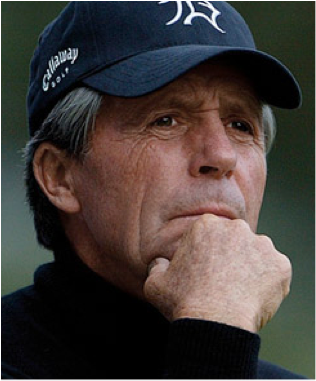 During an interview prior to the start of the 2012 British Open Championship, World Golf Hall of Fame Member and golfing legend Gary Player was asked why there were so many talented younger professional golfers? His response was that the United States and South Africa have by far the best Junior Golf Programs in the world today -so many of these exceptional younger pros are from those two countries. As a rule, golf people are good people and golf courses are good places for kids to spend time. And most JG’s are polite, well-spoken and well-mannered-the kind of kids you want your child to be around. 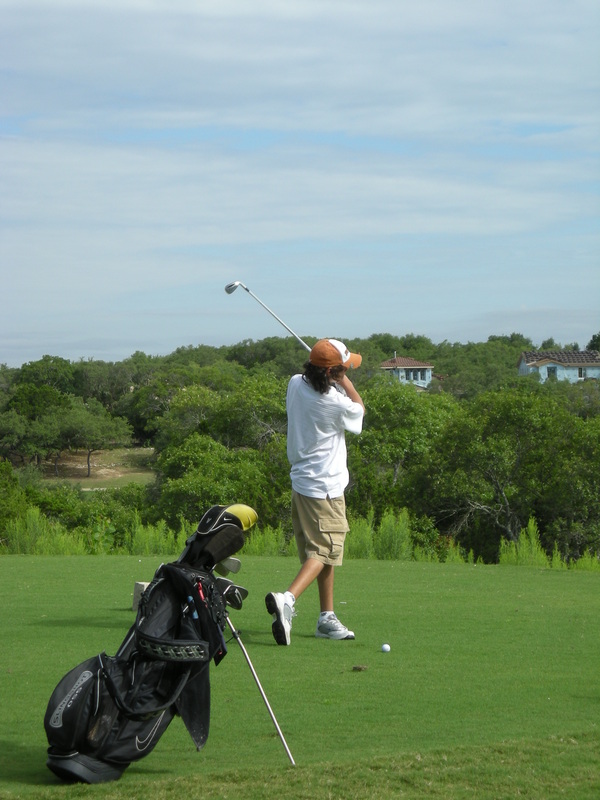 Golf will help get your Junior Golfer in shape and keep them in shape. It is a sport of flexibility and balance and strength-all important for a lifetime of good health. And the Vitamin D they get from sun exposure is super healthy! Honesty, integrity, confidence and perseverance are just some of the life skills your Junior Golfer will be able to experience. Golf is very healthy as a character-building environment. The risk of injury in golf is minimal when compared to other sports. A sprain, bruise, some sunburn or tendonitis covers the great majority of golf injuries. You just don’t need to worry about your child’s sport being a threat to their health. Golf is a benefit to their health! Junior Golf in the U. S. is more popular than ever! Top quality coaches, courses, clinics, inexpensive/beginner’s equipment and proper attire are readily available. And there are so many Junior Golf Tournaments, for players of every level, you can barely keep up with them. Junior Golf promotes life skills combined with competition. And along with competition comes pressure-a lot like life. After you introduce your kiddo to golf and if they “take to” it, you are in for years of quality time together. You will watch your Junior Golfer grow up and become more mature right before your eyes. If you can’t stand the heat… don’t parent a junior golfer! As you know Mom and Dad, the days of playing junior golf tournaments in 75 degree, blue-bird weather, at least in Texas are few and far between. Our kiddos more than likely will be playing in high heat in the summer and maybe decent, but chilly weather in the winter. Okay, here’s the second installment of Beat-the-Heat tips, I pray you have taken advantage of the first set. Let me know how you implemented them with your Junior Golfer. 7. 2 Gloves, at least 2 gloves: Gloves can get soaked with sweat and your JG needs the comfort of having at least 1 extra glove…probably a total of 3 gloves is best. S3 has worn Nike, TaylorMade, and Titleist gloves over his Junior Golf career. He prefers the leather Nike Elite Feel, but his college teammate, Dakota likes the leather Titleist Player’s glove. Gloves come in synthetic or leather, we prefer leather for overall quality, feel and longevity. 8. Hats, caps and visors: Bigger brims provide more protection but if it is windy, bigger can become a hassle. Beginning JG’s may find bigger hats to be uncomfortable or clumsy. Preference plays a big part in the selection, but getting your JG to be comfortable in a cap, hat, or visor may protect them from suffering heat stroke in extreme weather. 9. 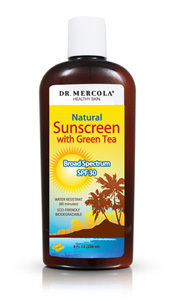 Sunscreen and insect repellent: We prefer organic sunscreens which stop the burning rays while letting in the beneficial rays. Be sure to put some sunscreen on your Junior Golfer’s ears, nose, back of the neck and forehead. Warding off those flying no-seeums and mosquitoes is no fun especially during a tournament we use a non-toxic repellent found online at www.mercola.com and FYI we do not receive any monetary benefit from this website. 10. Eyeglasses: If your Junior Golfer wears prescription glasses, just make some provision for them not to slide around on the nose or face during their swing. Contact lenses may perform better for your Junior Golfer if available, or prescription sunglasses. S3 wears non-prescription sunglasses (Oakley’s) about ½ the time –and frankly I think he plays better without them. Pay attention to how your Junior Golfer plays with and without shades and offer them your input. 11. Head-bands, wrist-bands and soaking neck towels: These are a matter of personal preference…of course, as the boys and girls get older –some items are just “unfashionable”. There you go, 12 tips you can put into practice today to prepare your Junior Golfer to beat-the-heat in style. The time you spend with your Junior Golfer will be some of the best moments in both your lives! Preparing for inclement weather puts your Junior Golfer at the top of the playing field, weather-wise, with the other players who are prepared –and at a great advantage over the players who are not properly prepared. The Mental Game of Junior Golf: No One is Immune to Pressure! The pressure is on for parenting junior golfers! What a great finish to the Greenbriar Classic this past July as Ted Potter, Jr and Troy Kelly, tied after 72-holes, needing 3 playoff holes to decide the winner! Pressure was taking its toll on many of the half-dozen or so players who had a chance to win going into their final 9 holes. Tour veteran Ken Duke had 2 doubles in a row. US Open champion Webb Simpson had a string of bogeys. Even Ted and Troy hit some poor shots during their playoff… pressure never takes a holiday. Even the pros are not immune to the impact of pressure. Successfully dealing with pressure is a learned behavior and while some Junior Golfer’s do it better than others…please remember Mom and Dad, no one is immune. The earlier you and your JG address this issue, the faster their overall game should improve. You need to be able to recognize that some part of your body or mind is over-revved …too hyped up. Identify that part and have a brief conversation with it and do something to calm yourself down …take a few deep breaths. 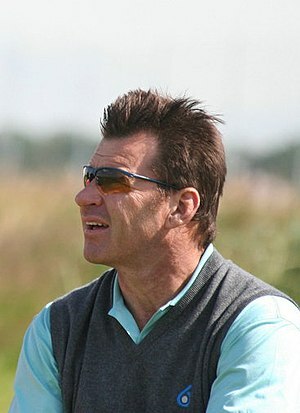 When Sir Nick Faldo and Ian Baker-Finch talk –you certainly want to pay attention. Parents, we hope this brief introduction to the mental part of your Junior Golfer’s golf game has been helpful. Please remember that pressure is always there, sometimes more… sometimes less… your Junior Golfer does want to play well for you and of course… they have their competitive spirit… 2 more areas of pressure. Linda and I are sharing our real-life experiences from the last 10 years with our son Sam III, (S3)’s junior golf career. We appreciate you joining us on this journey and we hope our successful junior golf experiences will be a foundation for success in your junior golfer. Living in South Central Texas means your junior golfer will play a lot of tournaments in hot weather. Heat is a fact of life down here, “hot” is considered 95 degrees and above. If you live or play where the temperature is a challenge, you need to prepare your JG (Junior Golfer) for the heat. Though he didn’t realize it, S3 was already beating the heat by being properly hydrated and in “golf shape”. In this post and the next, I’ll share some beat-the-heat tips; you can use to prepare your JG. Many tournaments are won or lost on the last few holes and being in “golf shape” is a great advantage. 2. Wear light-colored clothing: Choose the dri-fit/quick dry/wicking type of polyester fabric. Be sure to include “wicking” socks…they really help keep your Junior Golfer’s feet comfortable. Nike, Adidas, PGA Tour, and Under Armour are just a few of the great brands we prefer. Check out their websites. 3. Hydrate in advance and during the round: Advance hydration means having your Junior Golfer drink about ½ their body weight in ounces of water every day…for at least 2 or 3 days prior to their event. If he or she weighs 80lbs, it would be 40 ounces. (As a fitness specialist, Linda teaches that everyone should be drinking this much water daily) Hydration choices during the round include: water, sports drinks and green tea (without artificial sweeteners). Our Junior Golfer prefers the original Gatorade or water. Encourage yours to drink throughout the round. Don’t let your Junior Golfer wait until they are thirsty to start drinking – by then they are becoming dehydrated. 6. Keep Energy Level Balanced: Your Junior Golfer is burning a huge amount of calories and they lose many nutrients in their sweat. Performance suffers without nourishment. Foods that hold up in the heat: peanut butter crackers, pb & j sandwiches, fruit snacks, jerky (without msg) and whole-grain bars. Eat a few bites every 3 or 4 holes. S3 has made a tradition of eating ½ of a turkey and cheese sandwich-dry, at the turn. Hamburgers are down the list as they sit heavy on the stomach –maybe ½ a burger only. Hot dogs and sausages are off the list as they sit heavy and greasy. No chocolate –too messy in the heat. Remember –eat light and eat frequently!